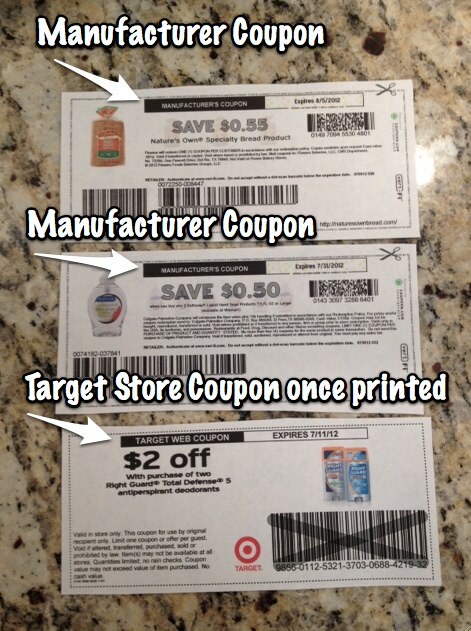 Home » What coupons can you use where? Store vs. MFQ and Store Logo. 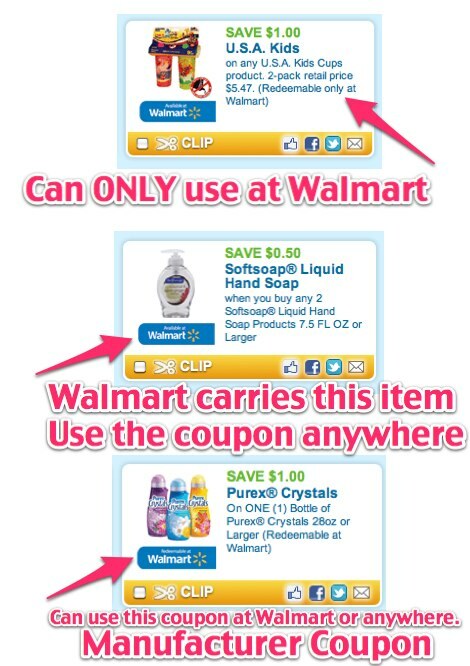 What coupons can you use where? Store vs. MFQ and Store Logo. April 29, 2016 By Tiffany 18 Comments By clicking on our links, we might make a SMALL commission - Thanks for the support! See our full DISCLOSURE here. Thanks for explaining this! Now it is a matter of sending to every cashier out there, lol! I mostly shop at Kroger’s now I understand. Thanks. What about the ones that print at the register? For example I had a $2.00 manuf. coupon print for Tide detergent at Target the other day but Randall’s told me it could only be used at Target because of the Target logo on there. I only tried to use it because I did not see any specific wording regarding “redeemable only at Target” and the back even said Retailer please send here etc. Target is harder. If it says “manufacturer coupon” at the top and their is a “remit address” meaning a place to send the coupon and have it redeemed, Walmart will take them, the Catalina coupons. Just remember to read the store coupon policy. I know CVS will not except any coupons that has a “redeemable at” or has a store logo on the coupon. Those are considered 3rd party coupons per CVS. It does get confusing at times but you get the hang of it. Absolutely, CVS just changed their policy. Kroger would not take a catalina I had that had HEB logo on it but it was a manufacturer coupon. Really made me mad since they print those out too, so they should know but they said store policy is dont take it if it has a logo. I recently had a problem with a Walmart cashier and then the supervisor above her regarding a coupon deal discussed on this website. I wanted your opinion on the matter because I argued until the people behind me were frustrated. The coupon was featured on the Walmart Top 10 under $1 deals and was the Rimmel Nail Polish for $1.50. The coupon states $1 off ANY Rimmel product however has a photo of a select other few items. The cashier and supervisor stated I could only use the coupon for the items photographed. With their logic a coupon from a manufacturer for ANY product would have to be the size of a Sunday paper if it were say L’oreal with their extensive inventory. This was the Brownsburg, Indiana Walmart. Exactly. They can’t possibly list all the items when they say “any”. The problem is that you are trying to use “logic”. Lol that’s what my roommate always teases me about when i argue with these cashiers! 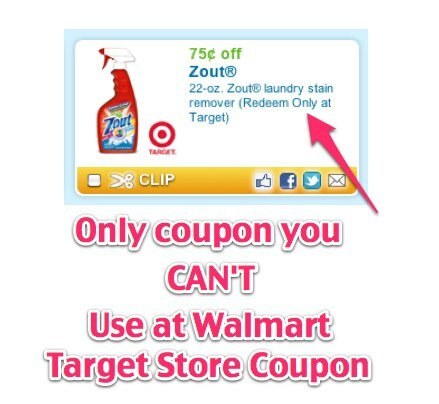 Unless Walmart changed their policy, even target (or Walgreens or food town or Randall’s or insert any store) coupon is accepted because they accept competitor coupons. 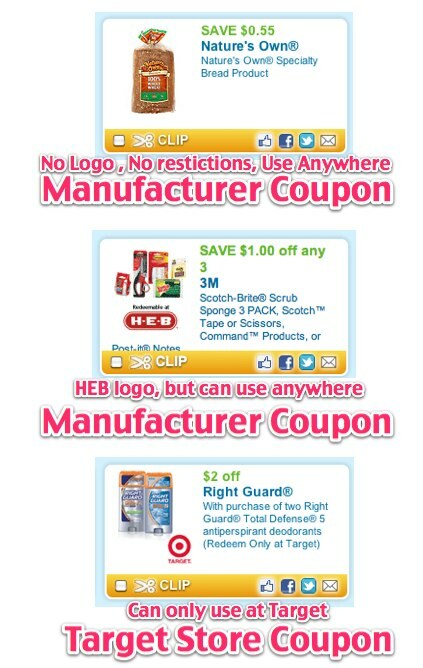 They accept competitor coupons that they can price match. If it is a Store coupon like the ones that say “Target Store Coupon” they do not take those. great post. Need more education for the newbies and reminder for us that have been couponing for awhile. At Walgreens yesterday tried to use three $1 coupons for crest mouthwash and wouldn’t allow in one transaction so couldn’t get the RR for buying three. I saw this as one of your deals so wondered if just the League City store or I got unlucky. Also, on another transaction, To use the RR I had to have an item for it… Meaning I had three items, three coupons plus the RR and manager said the RR is a manufacturer coupon really so would need four items to use it. Any technique I’m missing here? Thanks for any help. It’s been a while since I went through that, so I don’t know if Walgreens policy has changed…but at the time they didn’t allow the use of “more coupons” than the number of items purchased. So I always picked up an additional cheap item, or however many more items I needed to match the number of coupons. I bought Kabang hard candy because I liked them and they were always right by the cash register. I have been tearing my hair out trying to use my printable coupons at Dollar General, CVS, and Walgreens. I am very careful in trying to use them, but they act like I am a thief. Each of these stores interpret their policy as they see fit, even if you pull out a printed corporate policy. Each of them have a different excuse for not wanting to take the coupons. One store will accept it, another will not. These three stores are truly a pain in the rear to shop with, and no matter how good their deal, they have all but lost any and all business from me.